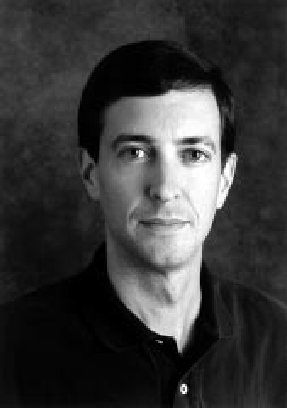 The 1995 ACM SIGGRAPH Computer Graphics Achievement Award is presented to Kurt Akeley in recognition of his contributions to the architecture, design, and realization of high performance 3D graphics hardware systems. These architectures define not only his company, but provide the high-performance 3D graphics facilities that enable scientists, engineers, animators, and other users to visualize, create, and dream in new ways. Kurt Akeley received a B.E.E. from the University of Delaware in 1980, and an M.S.E.E. from Stanford in 1982. That year he was a member, with previous Achievement Awardee Jim Clark, of the founding team of Silicon Graphics, Incorporated. He has been a key technical contributor since then with primary design responsibility for most of the high-end graphics architectures in SGI’s product history. Kurt developed the frame buffers and processor subsystems for the early IRIS series products, and many of the CAD tools used to design these and other products. He was instrumental in developing the graphics systems for the Power Series and Onyx systems, including the GTX, the VGX, and the RealityEngine. He also led the design and documentation of the OpenGL graphics software specification, which is now supported by Silicon Graphics and many other workstation and personal computer vendors. Clearly he is a hardware wizard, but one who also has a deep understanding of software and especially the critical interaction between hardware and software. Currently, as Vice President and Chief Engineer at SGI, he is responsible for the specification of extensions to the OpenGL graphics software interface. He has received eight patents and has others pending. In addition to his design contributions, Kurt has published papers about those architectures, and about graphics architectures in general. These publications are seminal contributions for the graphics community around the world. It is practically impossible for a paper describing new ideas in graphics architecture to omit, as background, essential references to Kurt Akeley’s contributions. 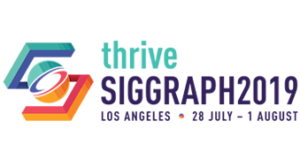 In addition, at the annual SIGGRAPH conferences Kurt’s courses on graphics architectures and graphics programming have educated legions of professionals in our industry. He also contributes on the panels and program committees. In 1984 his colleagues at Silicon Graphics recognized his contributions by selecting him as the first overall “Spirit of SGI” award winner. He received the 1993 Distinguished Alumnus award from the Department of Electrical Engineering of the University of Delaware, and was given a University of Delaware Presidential Citation for Outstanding Achievement in 1995. In short, through his tangible achievements Kurt Akeley has enabled a unique industry, and has enriched the lives of many thousands of users who are now able to break new ground in their own fields because of the power his inventions provide. Therefore, ACM SIGGRAPH is pleased to present the ACM SIGGRAPH Achievement Award to Kurt Akeley. Kurt Akeley and Tom Jermoluk, “High-Performance Polygon Rendering,” SIGGRAPH ’88 Conference Proceedings, pp. 239- 246. Kurt Akeley, “The Silicon Graphics 4D/240GTX Superworkstation,” IEEE Computer Graphics and Applications, July 1989, pp. 71-83. Paul Haeberli and Kurt Akeley, “The Accumulation Buffer: Hardware Support for High-Quality Rendering,” SIGGRAPH ’90 Conference Proceedings, pp. 309-318. Mark Segal and Kurt Akeley, “The OpenGL Graphics System: A Specification,” Silicon Graphics, Inc., 1992. Kurt Akeley, “RealityEngine Graphics,” SIGGRAPH ’93 Conference Proceedings, pp. 109-116.